Welcome to the Mr Combi Shop. Here you can pay for places on the one day training course, buy DVDs or other spares and tools. Payment is taken through PayPal, you can pay using your own credit or debit card, a PayPal account is not required. Goods will be sent out as soon as possible. By making a purchase on this page you are agreeing to our terms and conditions	. Any purchases you make will appear here. Once you are finished, click the button to checkout. 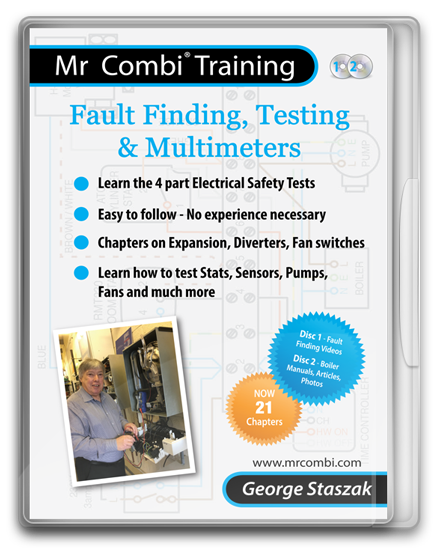 If you have completed an application form you can pay for the Fault Finding & Multimeters or Wiring & Controls courses here. Unfortunately no credit or refunds can be offered for students who fail to turn up to a booked course. Two disc set, find out more on the DVDs page. Four disc set, find out more on the DVDs page. 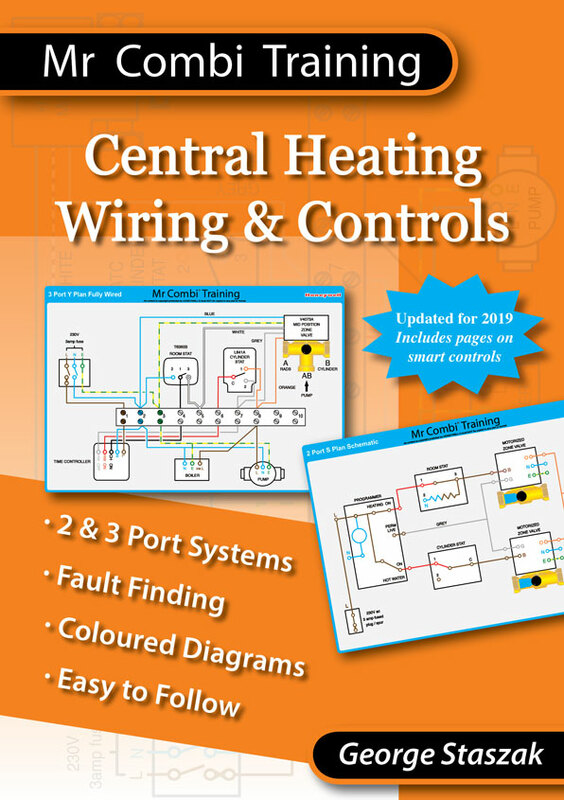 Get both DVDs and the Central Heating Wiring & Controls book for only £60, saving you £25. We’ll also throw in an Anton Chart! 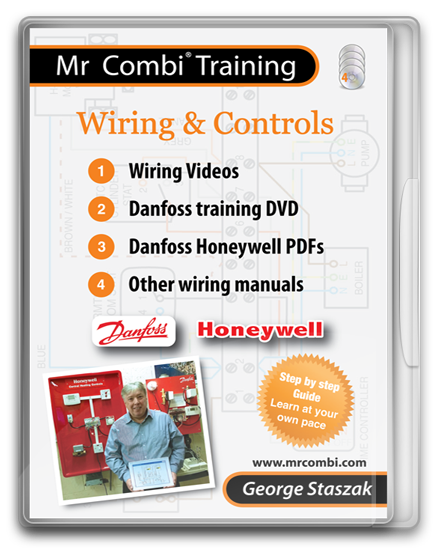 Our new book is an excellent reference for you to use on Danfoss and Honeywell controls. Visit the Central Heating Wiring & Controls page to find out more. After you analyse a boiler you can see and show the customer HOW the appliance is performing and what action to take. RED – shut down, Orange – service, etc. Printed on flexi-plastic so it is totally water resistant. You need this chart! This Extech auto ranging digital multimeter has 12 functions, 0.5% basic accuracy and measures AC/DC voltage, current, resistance, capacitance, frequency, temperature, duty cycle, and diode/continuity with a buzzer.